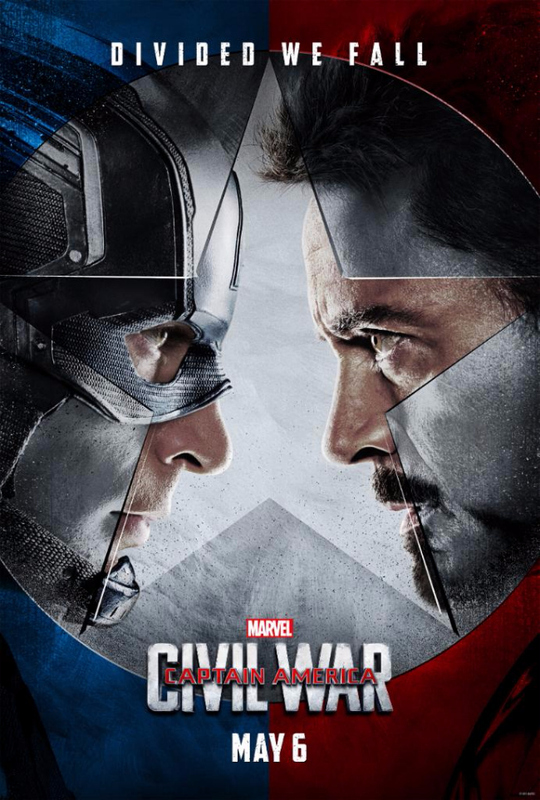 Slowly but surely we are approaching the biggest movie event of the year: Captain America: Civil War. The super-sized film was already exciting enough every time some new piece of information came out about it, but in the wake of the good-but-not-great Avengers 2 last year many (Read: Me) have been curious as to how this film would go over. Great news, it’s apparently amazing. Early reports and reviews coming in are overwhelmingly positive with more than a few calling it the best film Marvel has produced to date. Is it weird that this seems completely normal? That’s what I’ve been trying to figure out. This film has looked like it was destined for success every step of the way, and that’s not speaking with regards to the box office where it’ll make bank. No, I mean the subject matter and the promise that the Avengers would be divided against one another with the two most compelling (by far) characters at the center seemed like a lock. It’s just odd that apparently that’s exactly what we’ve got in store in two weeks. Maybe it’s a bit of media cynicism on my part to be lowering the bar in wake of Batman vs. Superman, but I was ready to be let down by such an ambitious project. Apparently I can let that guard down with an ever-growing amount of confidence. May 6th is going to be an amazing day, and Captain America: Civil War is going to be great.